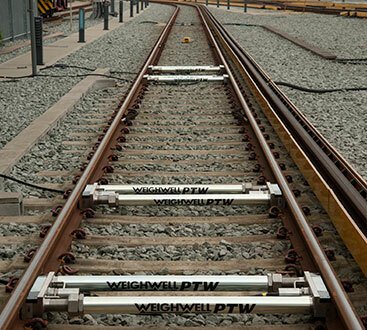 The Portable Train Weigher (PTW) is able to weigh rail vehicles without the need for expensive changes to the track or foundations, this provides a flexible and convenient installation in rail depots which doesn’t require any welding or drilling. Our static train weighing systems have a length of only 500mm which allows for greater flexibility when installing between rail fastenings. This is advantageous when rail fastenings cannot be removed and results in a more convenient installation and less “flexing” of the system. 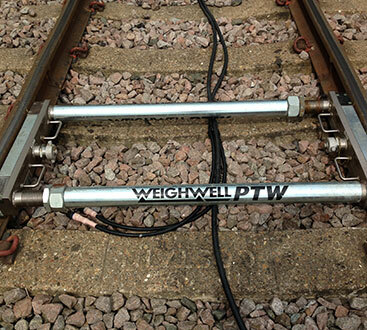 Our static train weighing systems use our intuitive in-house ptwX software. This software is ideal for train maintenance depots and provides highly accurate individual wheel weights that relate to the trains configuration. This is advantageous in assisting passenger cars or locomotives that require adjustments or alterations such as heavy maintenance, bogie changes or vehicle modifications. In addition we also provide our in-house designed PTW indicator as an interface. 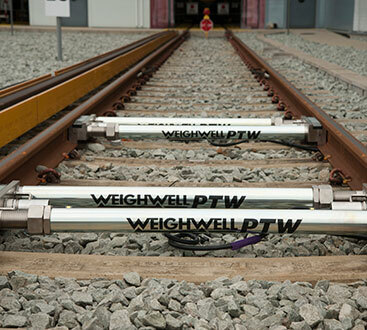 The PTW indicator is situated within a robust carry case and provides the user a quick selection of options before weighing the rail vehicles. – Our Single Axle Weighing System which weighs each individual axle statically. – Our Bogie Weighing Systems are either x2 or x3 PTW units and weigh each individual axle bogie. – Our Full Car Weighing Systems (also known as Full Train Weighing System) are either x4 or x6 PTW units and will instantaneously weigh the four or six axles of the railcar. This provides weighing information on every bogie, axle and wheel of the railcar. The benefit of a PTW unit under each axle is that it minimise the internal forces of the railcar and any issues of “dead weight”. This allows for greater accuracy and repeatability.All of our static train weighing systems are patent-approved and available for hire or purchase. Our static systems are suitable if you are wanting to understand weight differentials across the rail vehicle (locomotive), with the ability to weigh railcars, locomotives and wagons anywhere at anytime.